Rocky Courchaine told of Murder and Mayhem stories from Crook County to the Spearfish Area Historical Society on Oct. 6, 2105 at the Spearfish Senior Citizen Center. "The people who came out west looking for a better life or leaving a life that was ruled by others got a rude awakening with what followed them out." Rocky stated. 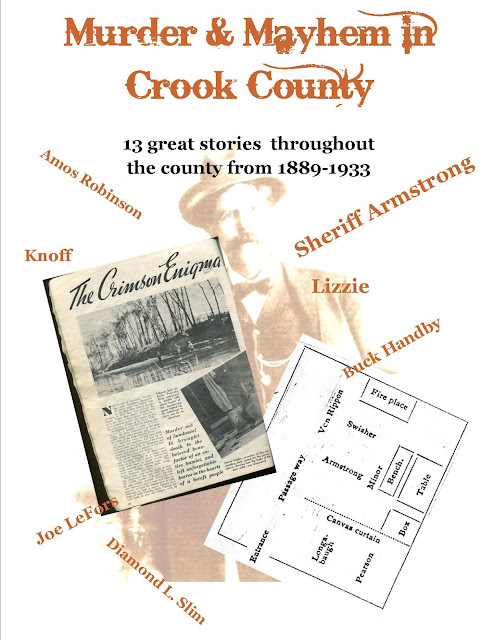 Whether it was land feuds, cattle or horse rustling, thievery, distraught lovers or out and out murder, it all really happened in Crook County from 1889 to 1933.